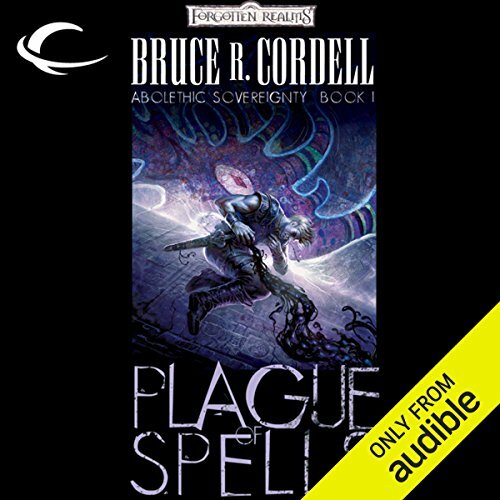 Award-winning game designer Bruce R. Cordell depicts the rise of a monstrous nation of elder evil as only he can in this brand-new trilogy Abolethic Sovereignty. Dedicated to showcasing one of the most fascinating new aspects of the changed face of Faern, this trilogy is packed with the exciting battles, wizardry, and monsters that are the hallmark of Forgotten Realms novels as well as introducing a new never-before-seen element of Lovecraftian horror to Faern. 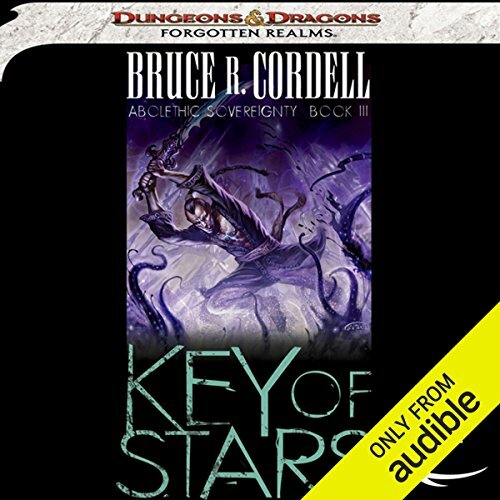 ©2008 Wizards of the Coast, LLC (P)2013 Audible, Inc.
Lovecraftian horror from award-winning Forgotten Realms game designer Bruce R. Cordell. Raidon Kane travels to the subterranean fortress of the somnambulant aboleths, bent on killing the Eldest in its sleep. But he isn’t the only one bound for the hidden city. A warlock, an arch fey, a pirate, and a high priestess of the Abolethic Sovereignty all have designs of their own on the Eldest – if they don’t kill each other first. 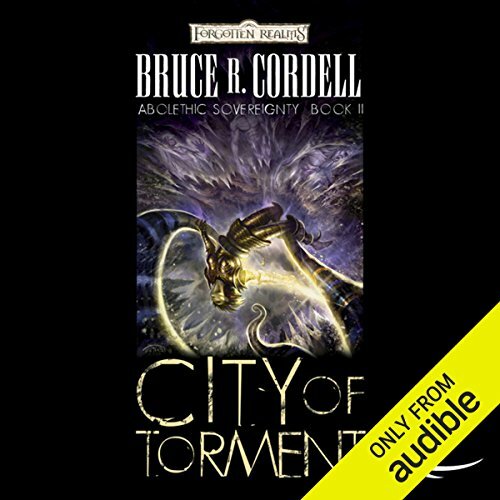 Lovecraftian horror from award-winning Forgotten Realms game designer Bruce R. Cordell. Raidon Kane survived his clash against the eldest aboleth, but came away with his mind shattered. Destiny hands Raidon one last chance to avert the Abolethic Sovereignty's agenda, but only if he can find within himself the strength to care. Raidon, the warlock Japheth, and Anusha, a young woman whose dreams are made real, must find Key of Stars before it is used to open the Far Manifold, and all reality drowns in a tide of horrific insanity.